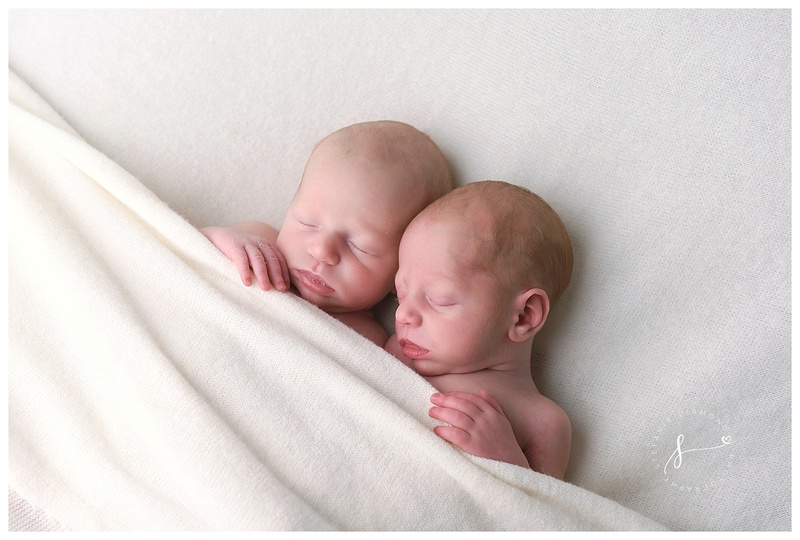 Gavi and Koby are clearly not identical, which always helps in keeping track of babies during a twin session. They each already have their own unique personalities and mannerisms and it’s adorable to watch them snuggle into each other. 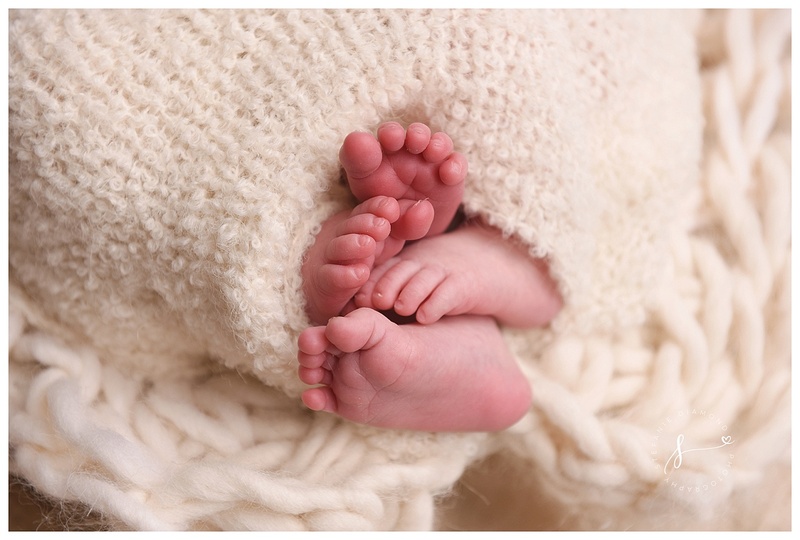 Like most newborns, they used the soft blankets and props to take a good nap, snoozing their way through their first photo session. 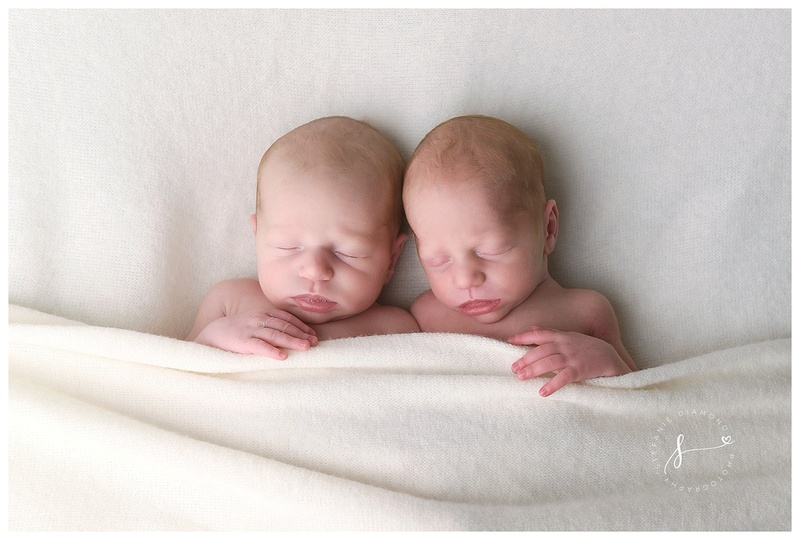 I can’t wait to see how their close brotherly bond develops in the years to come—twins usually have a unique way of communicating with each other. Big sister Kayla (who is not yet two!) joined us for the sweetest photo at the end of her brothers’ session. She already loves her baby brothers so much and really wanted in on the snuggles. No doubt, she will be the perfect ring leader for this crew of three! 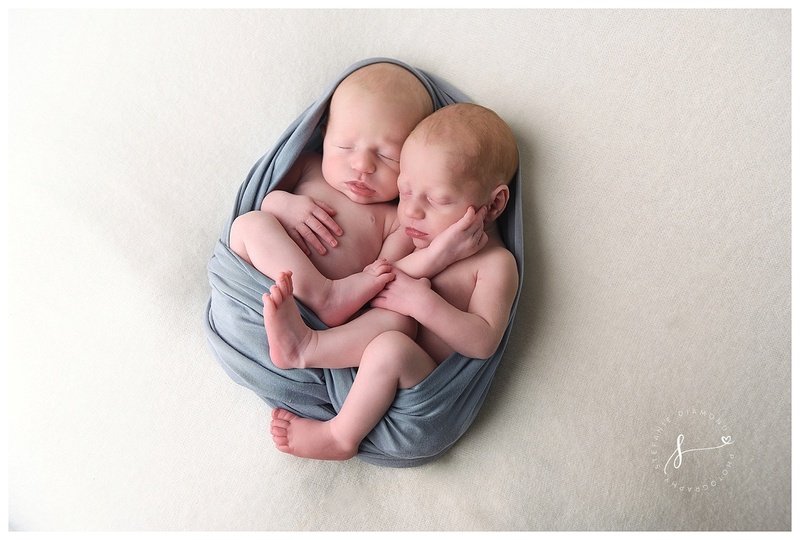 These two parents have their hands full—and then some—but their hearts are even fuller. These sweet kiddos bring so much joy and happiness to the world. 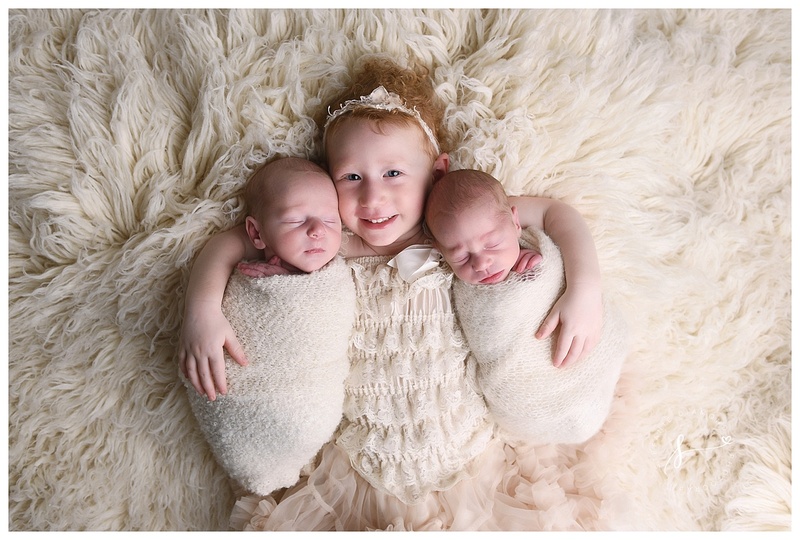 I couldn’t stop smiling as I captured the perfection of these two handsome little guys and their loving sister. What blessings they are! Before you know it, these three fun-loving siblings will be off on their own adventures together like the three musketeers! 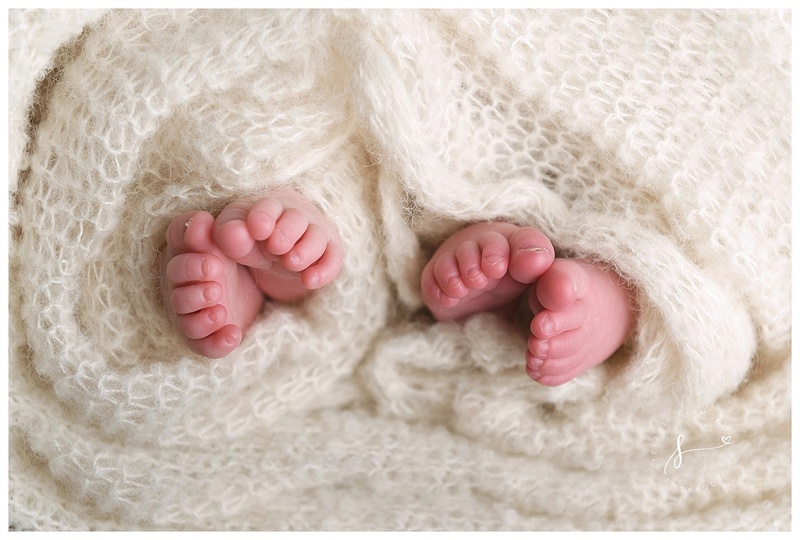 Welcome to the world, Koby and Gavi!